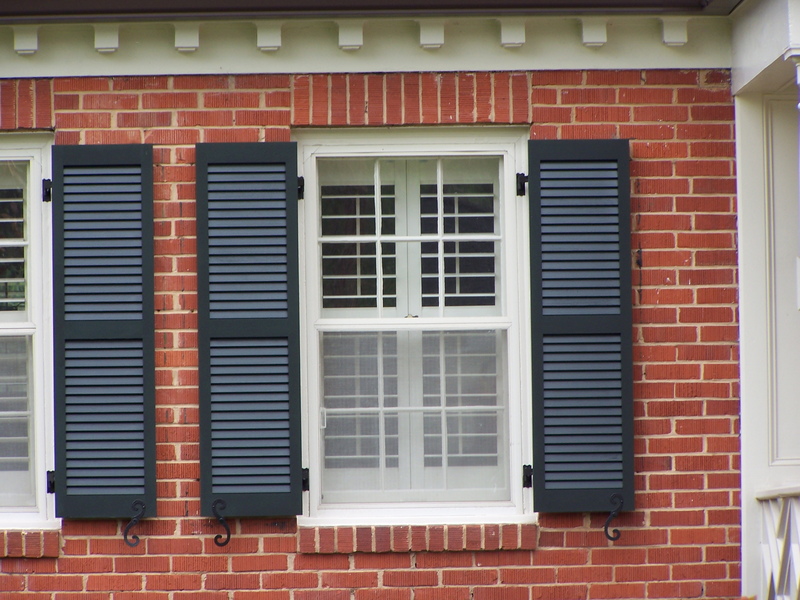 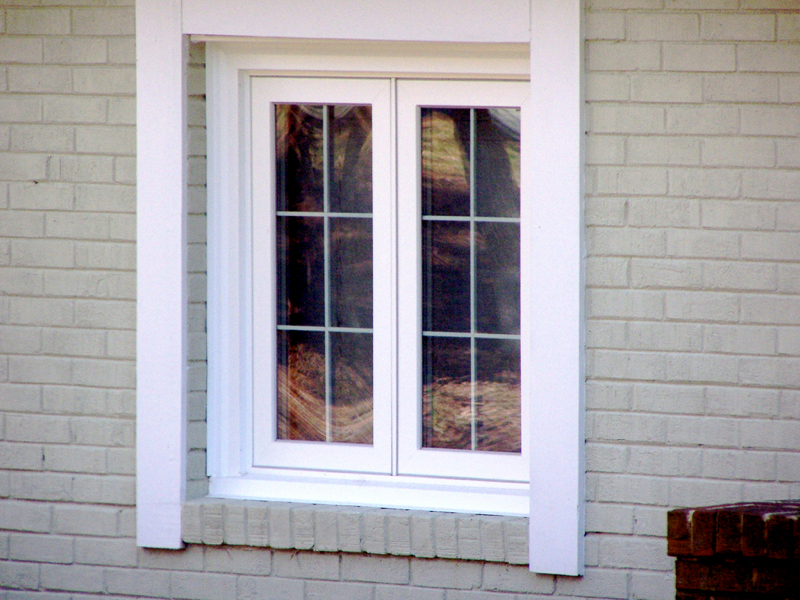 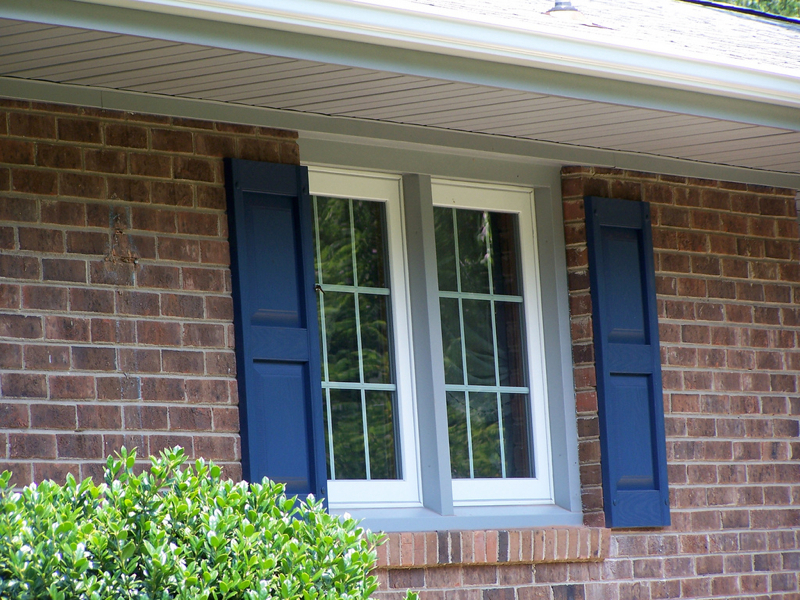 Unsure which replacement windows are right for your needs? 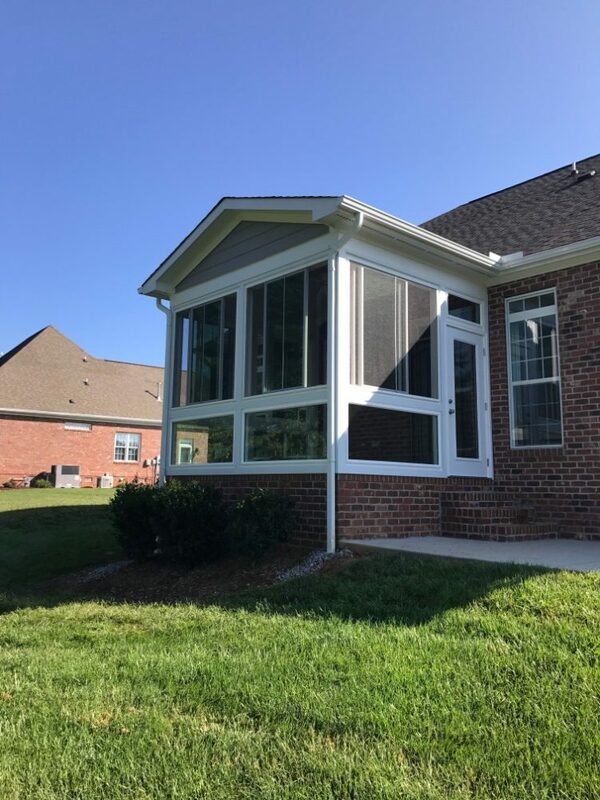 our home improvement specialists are happy to lend their expertise to help you choose among our many window brands, types, colors and styling options. 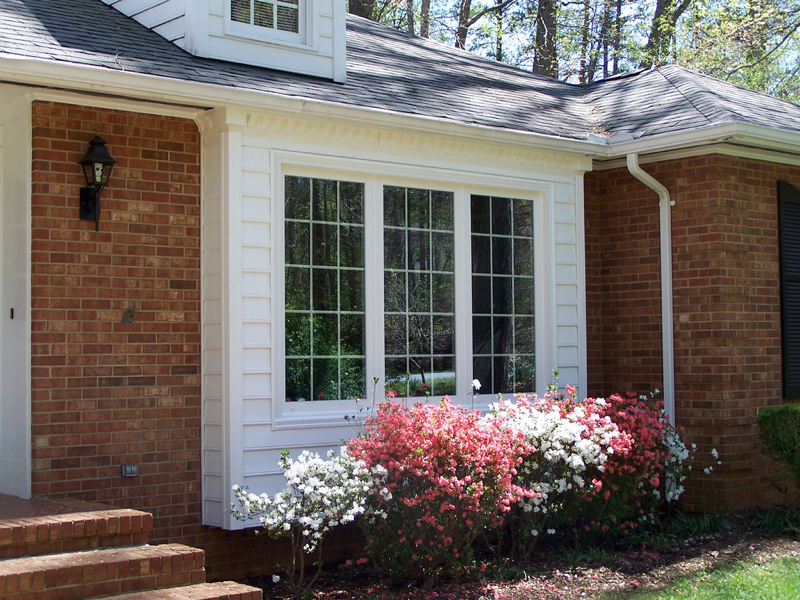 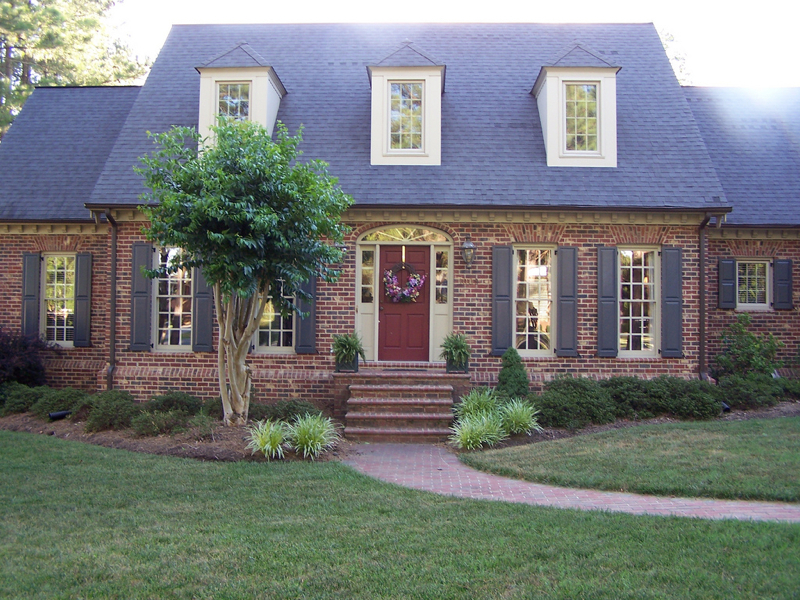 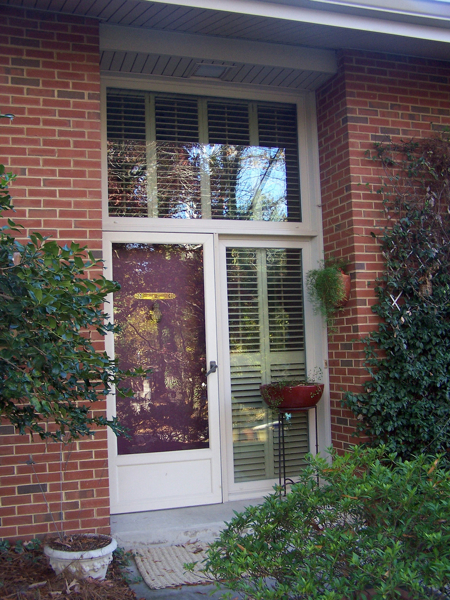 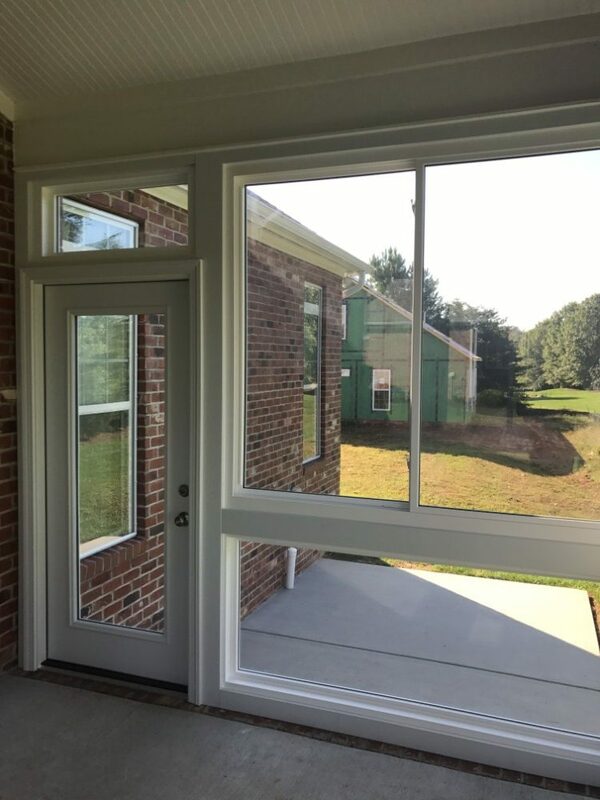 Gerald Jones’ window replacement contractors offer customers in the Raleigh-Durham area personal service, valuable expertise and superior results. 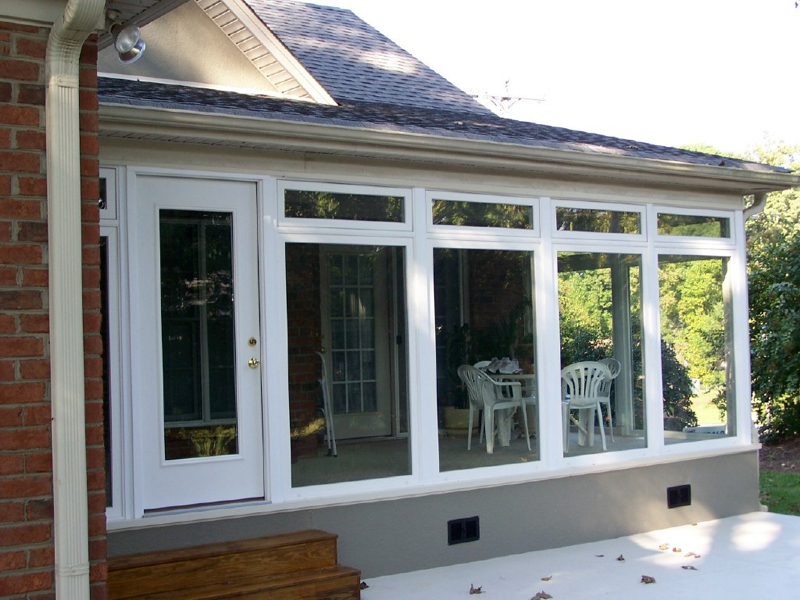 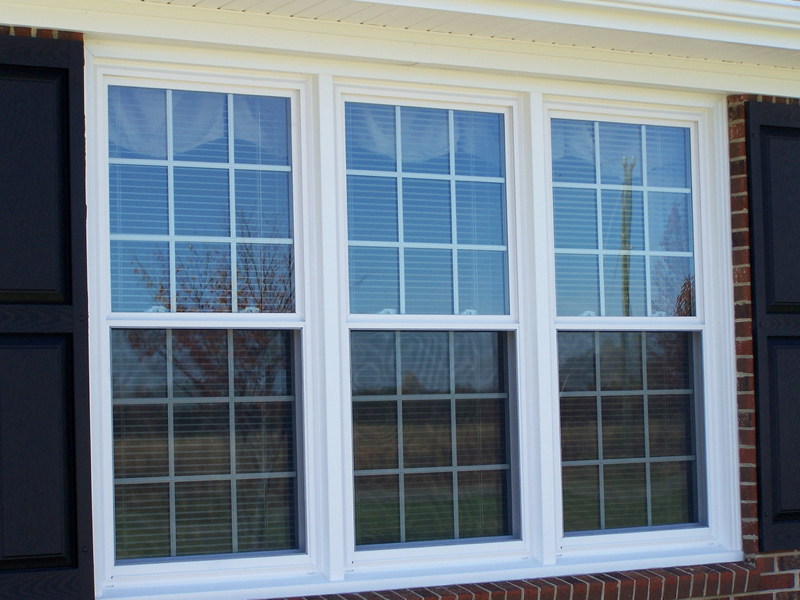 Our vinyl, wood-framed and fiberglass windows come pre-finished with an outstanding warranty against manufacturer defects. 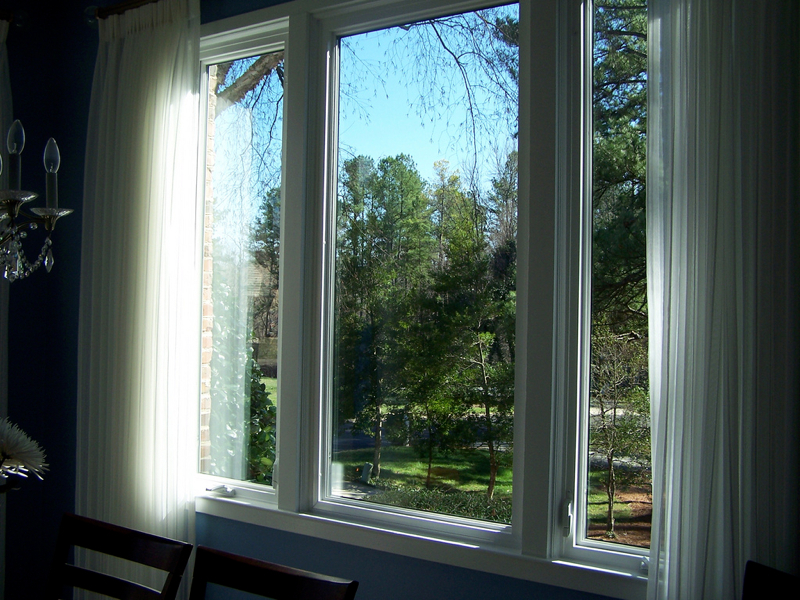 This means that your new windows will leave you worry-free for years to come. 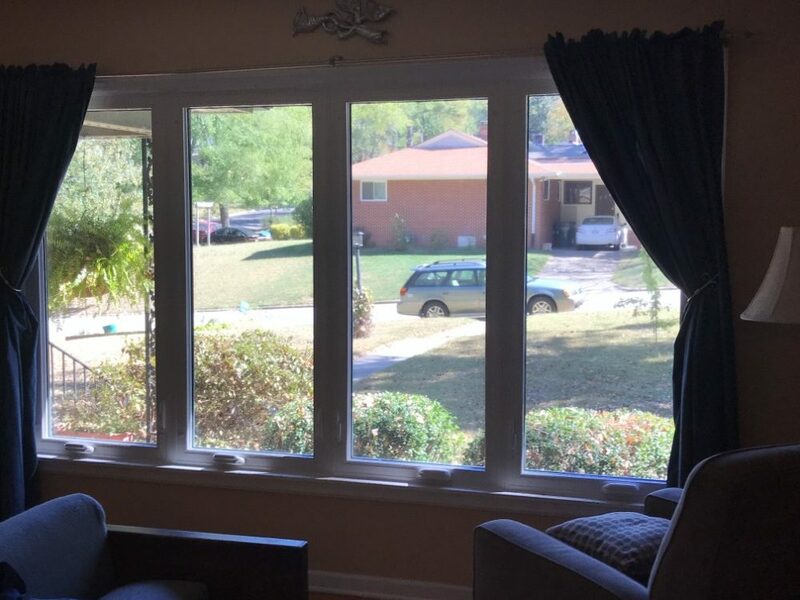 All you have to do is sit back and enjoy the view. 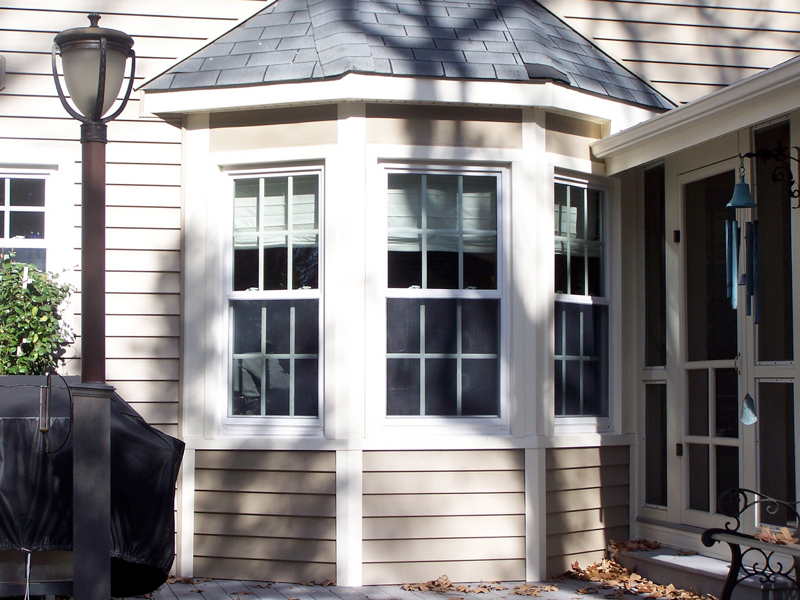 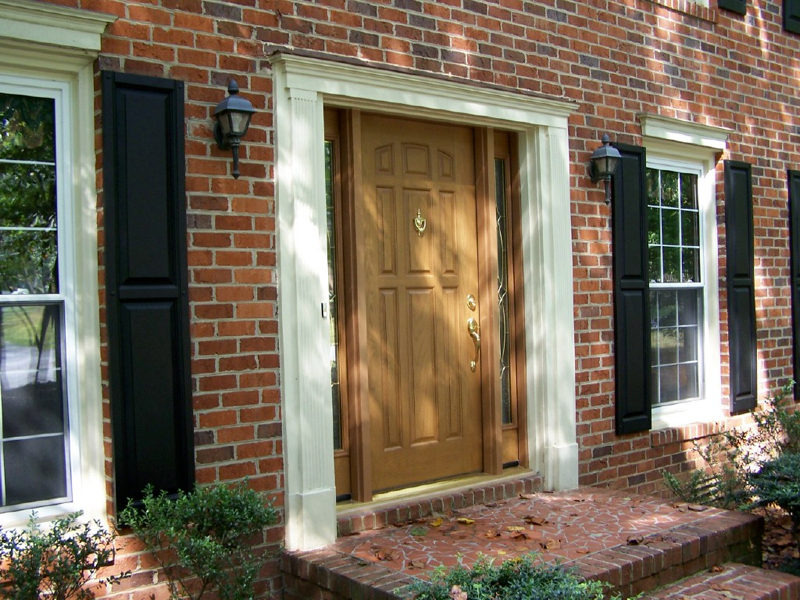 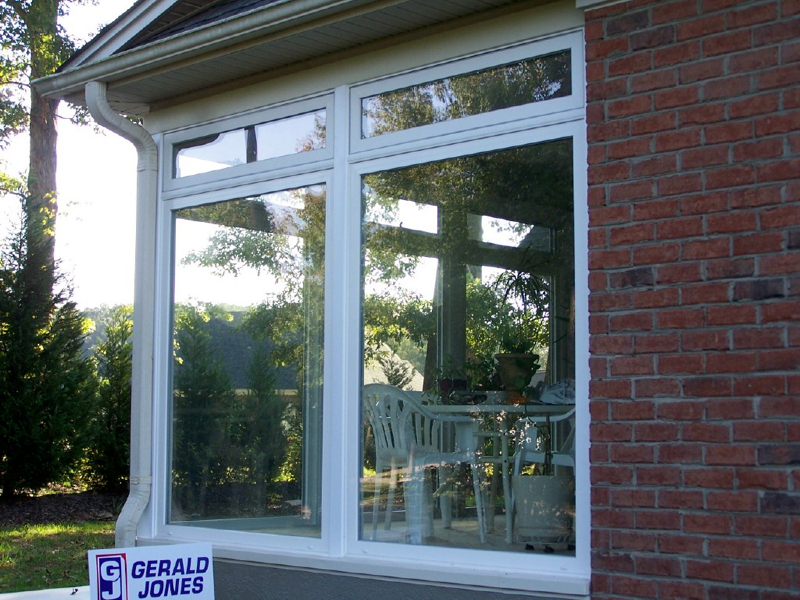 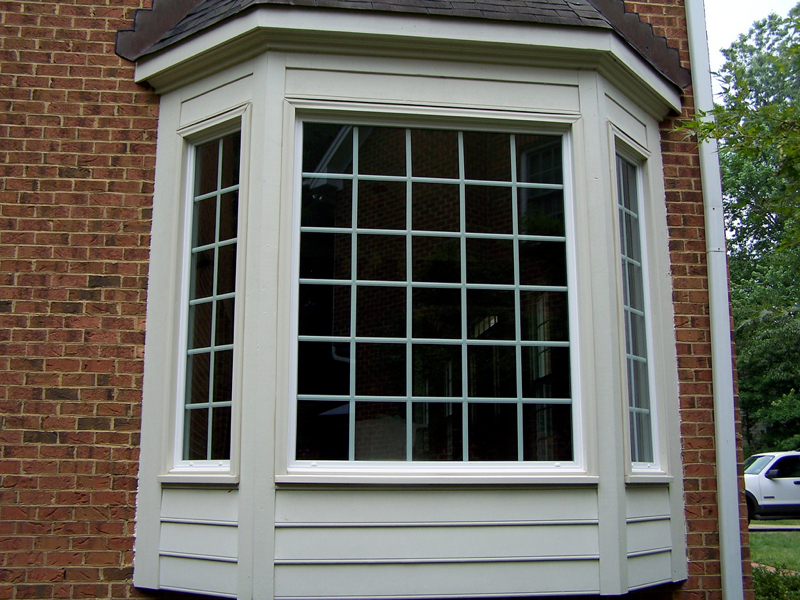 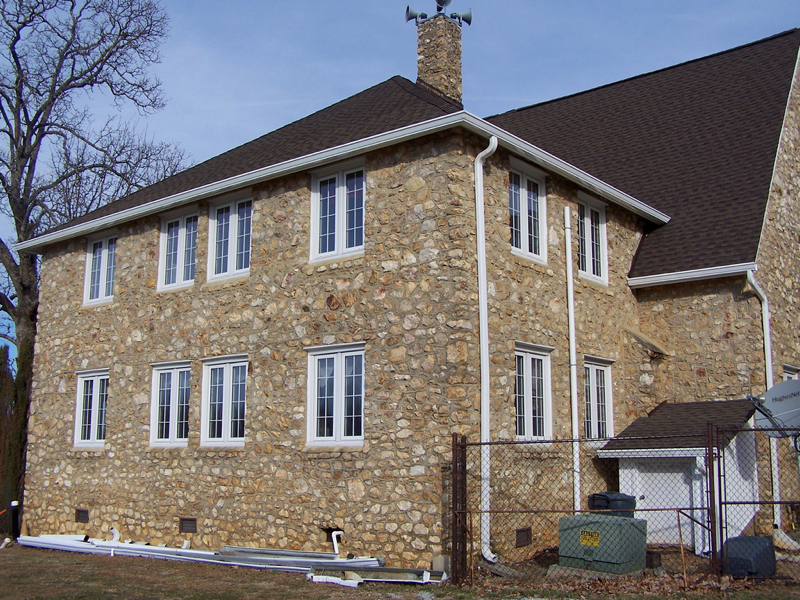 At Gerald Jones Company, we sell and install only the highest quality replacement windows. 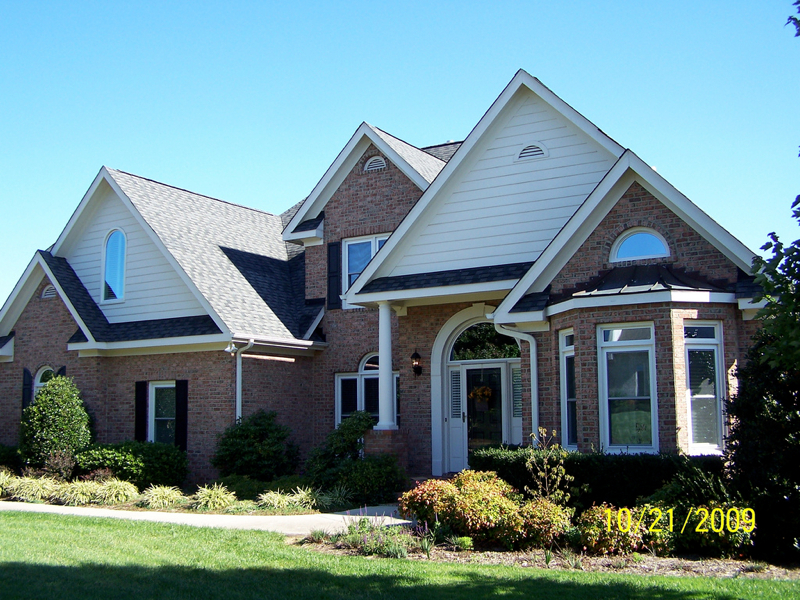 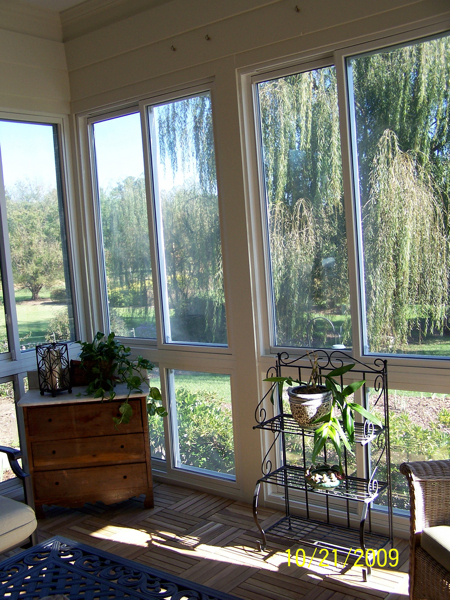 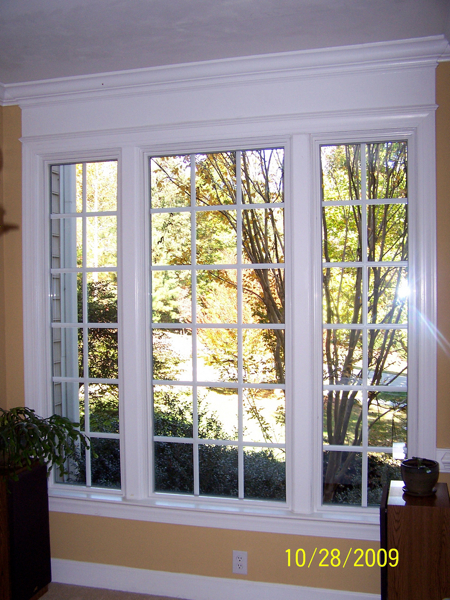 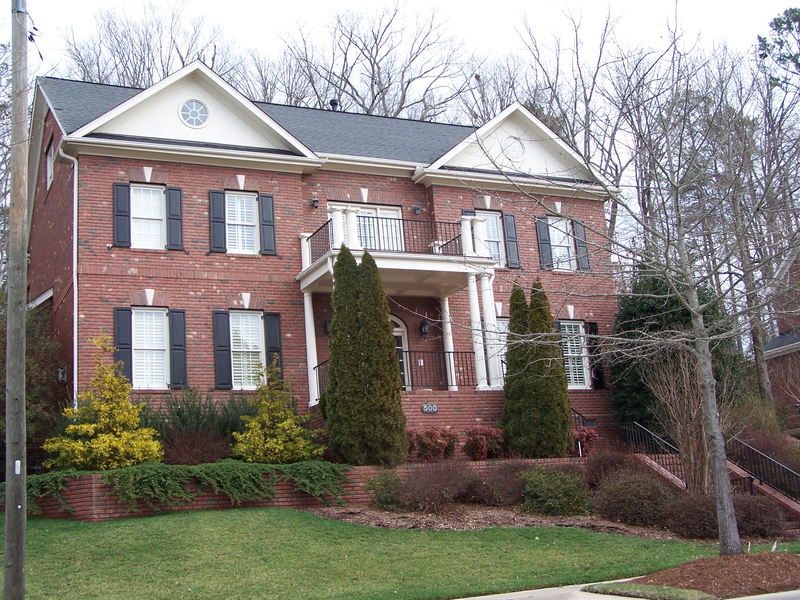 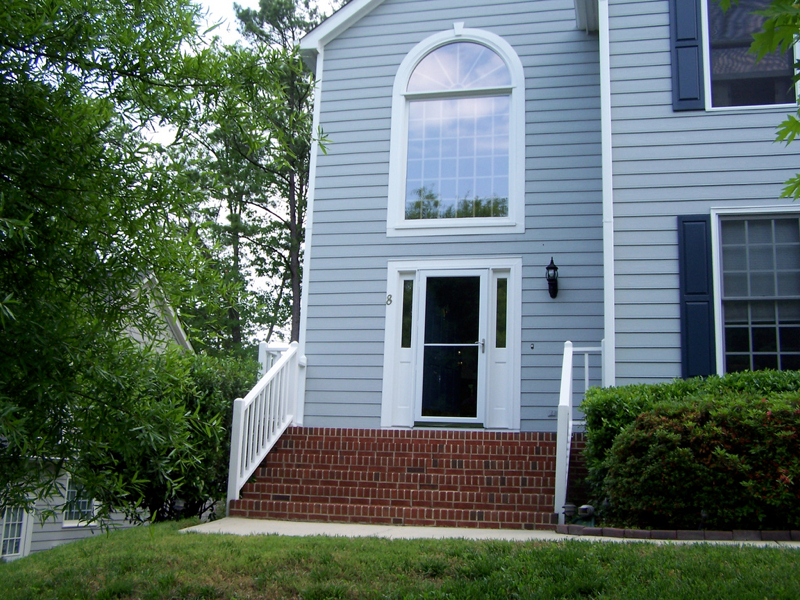 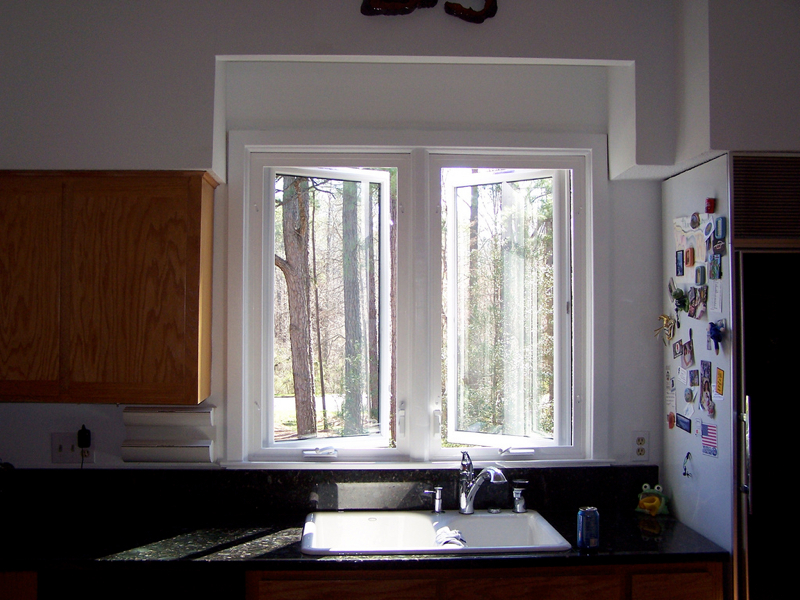 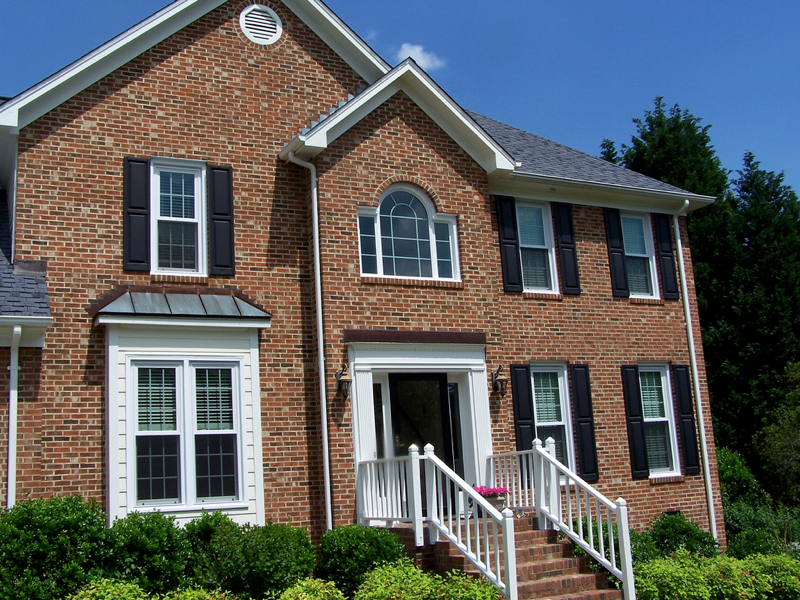 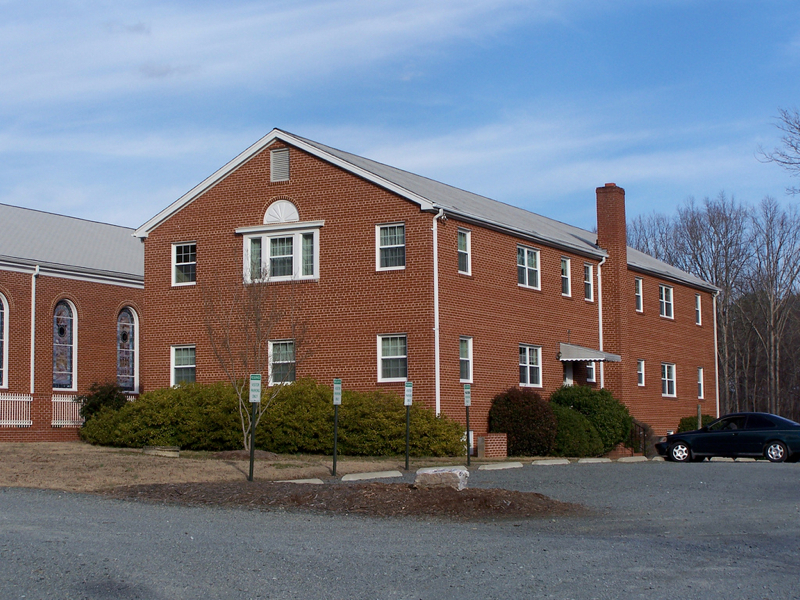 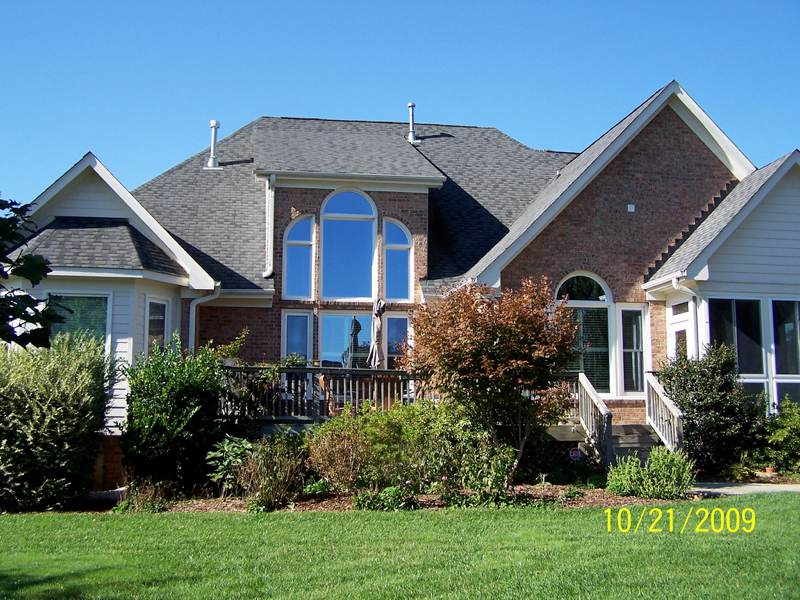 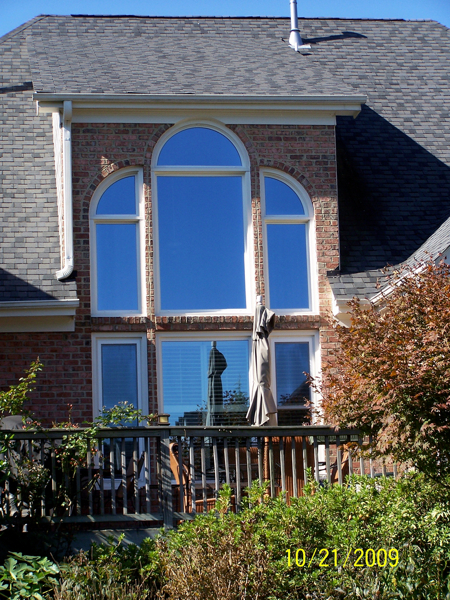 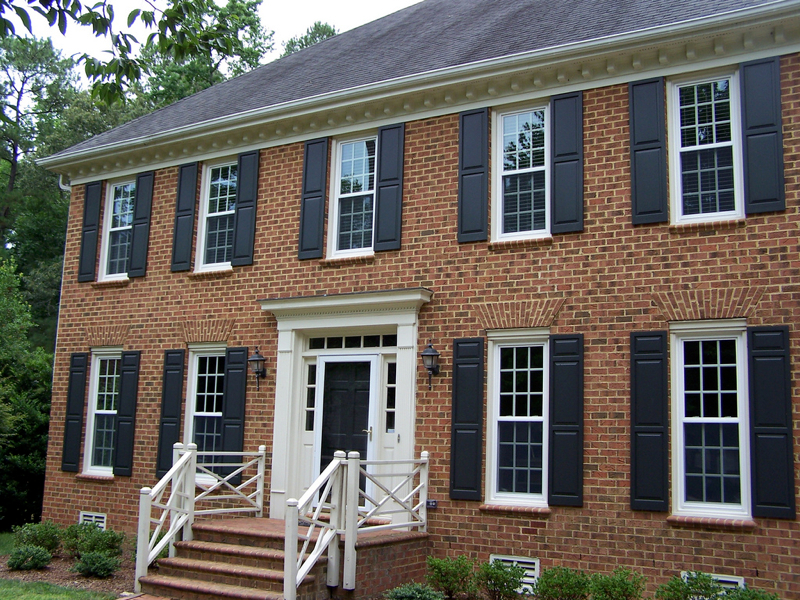 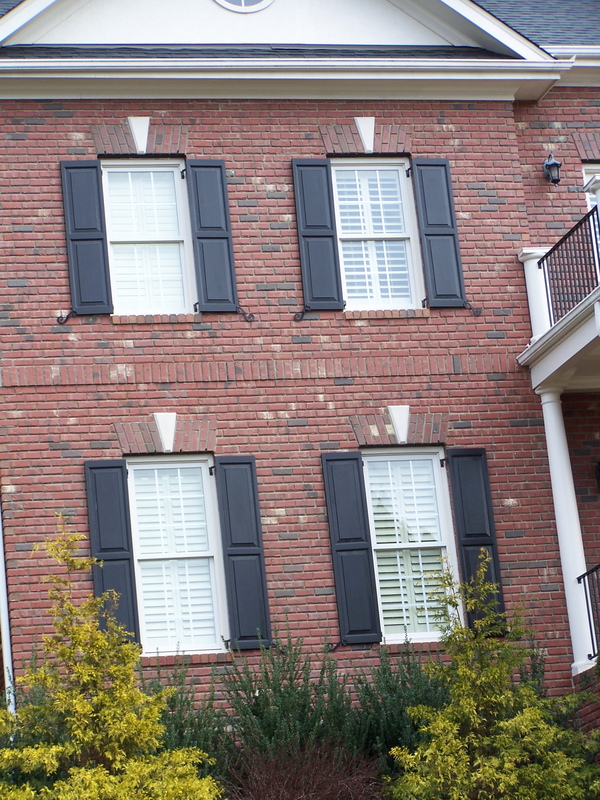 We are the Raleigh-Durham expert in window installation and want to help you find the perfect windows for your home. 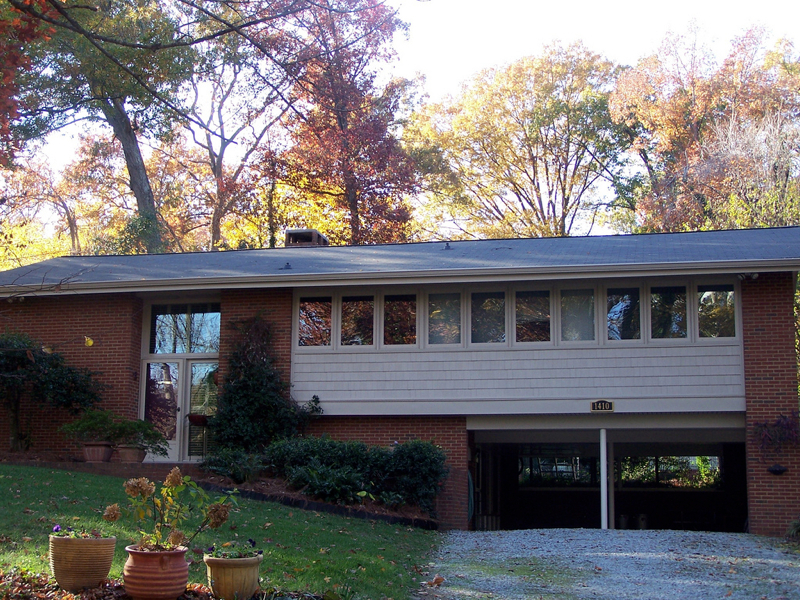 People have trusted Gerald Jones for over 55 years for the finest service. 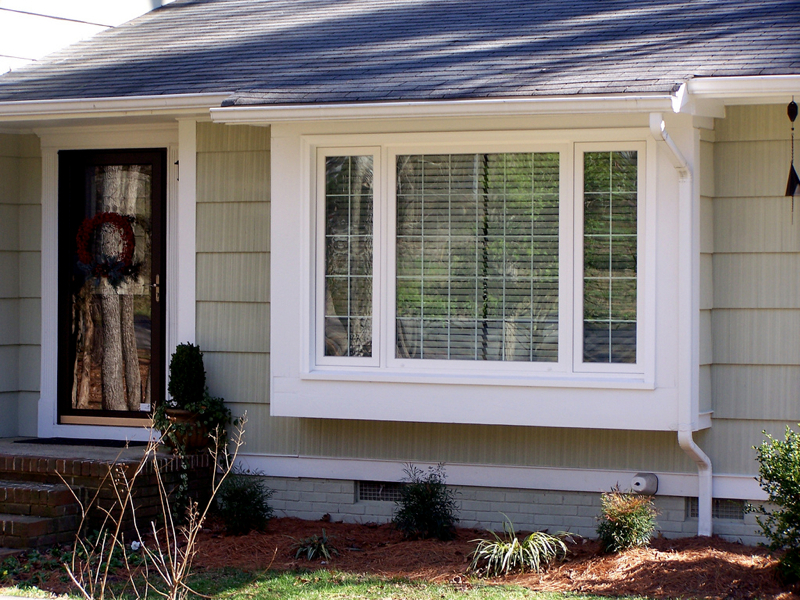 Call today for your are, no-obligation estimate. 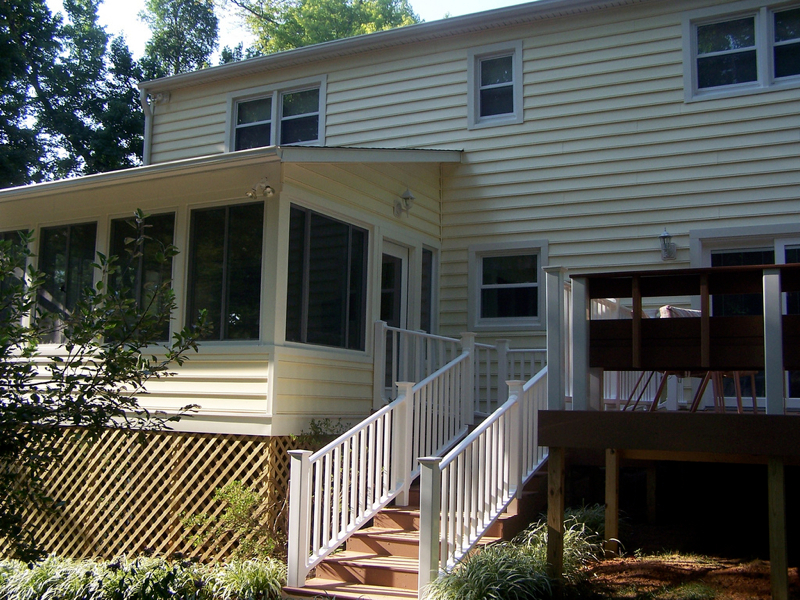 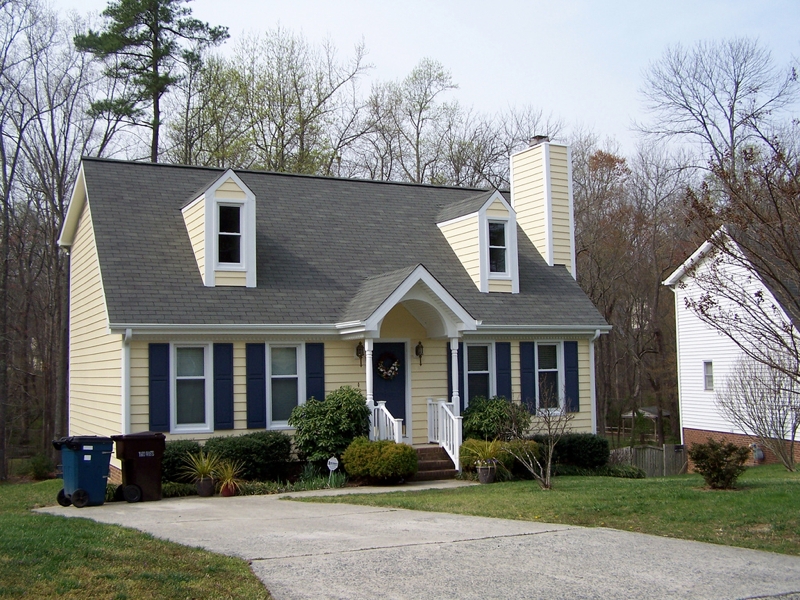 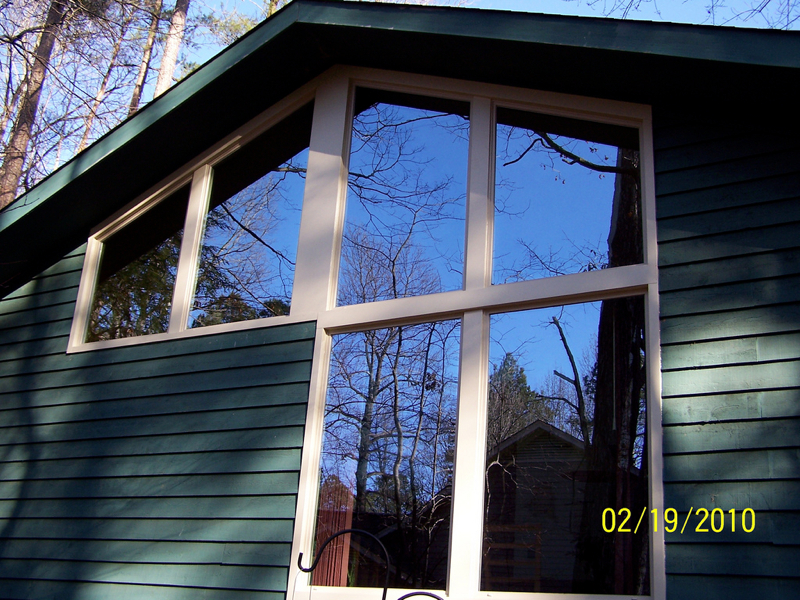 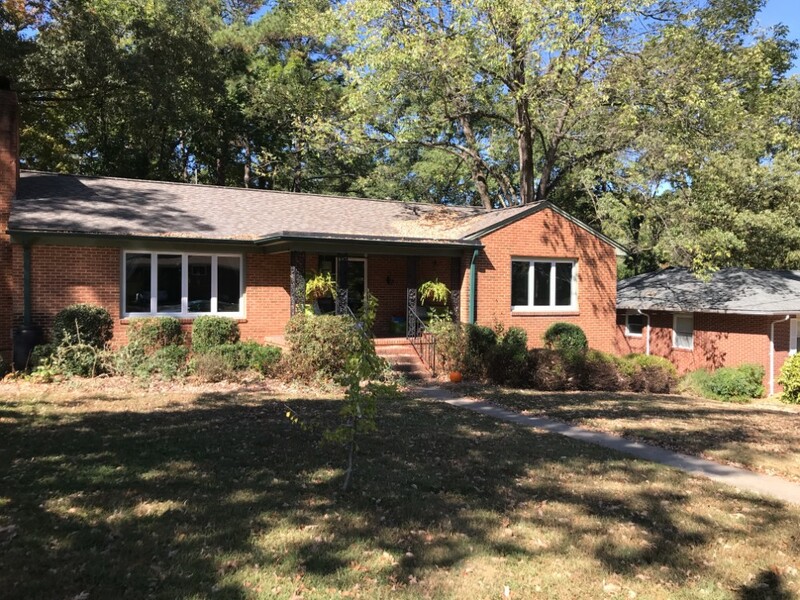 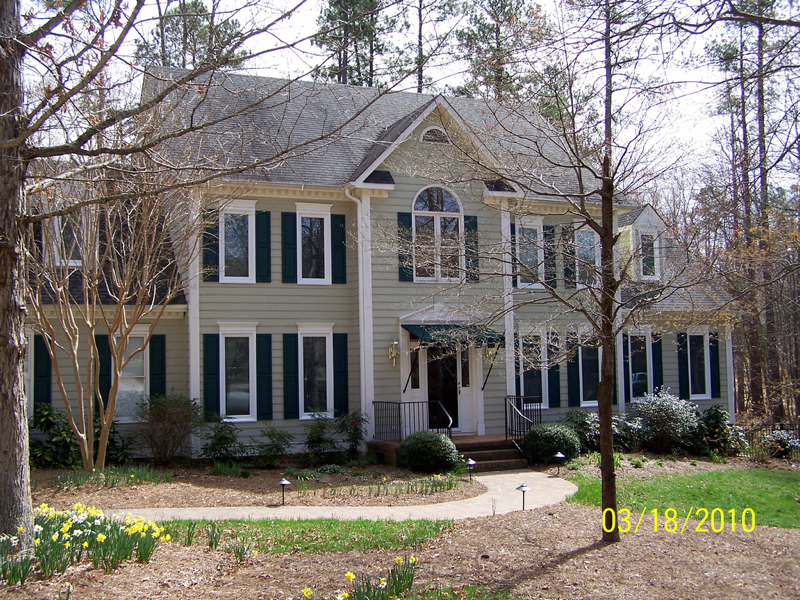 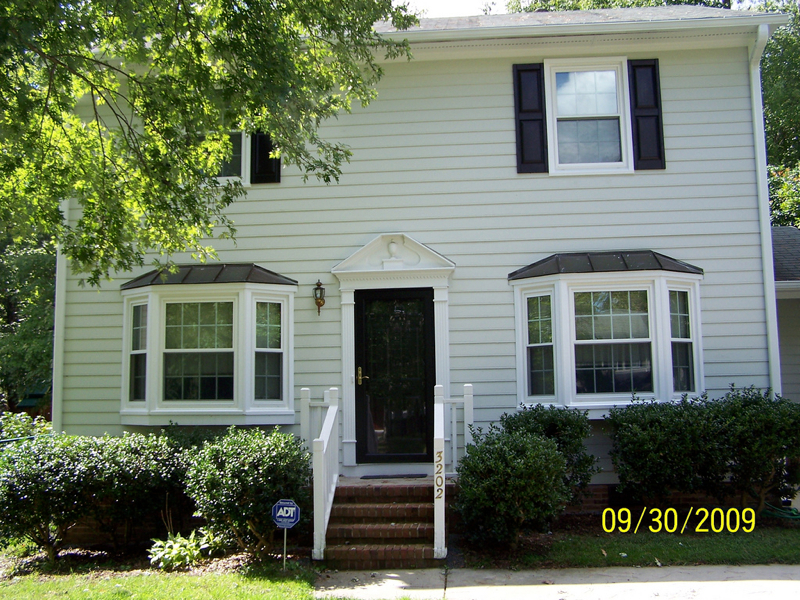 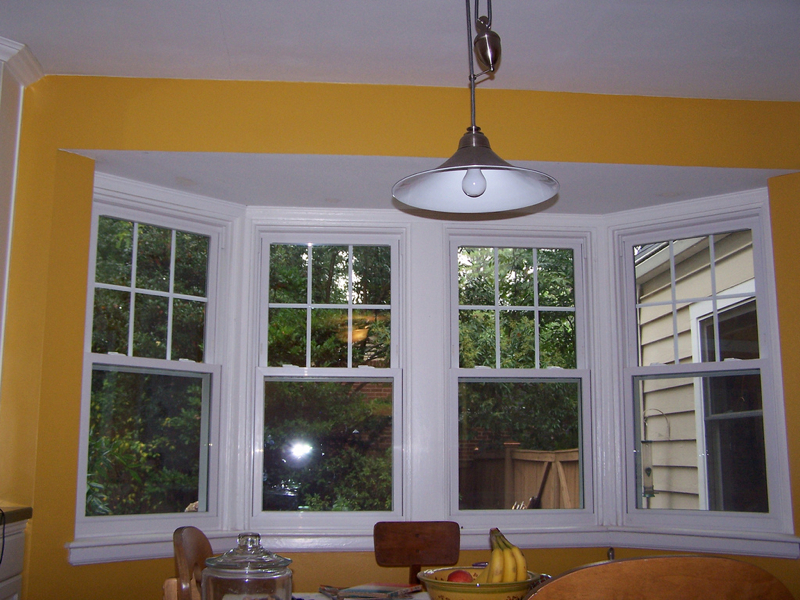 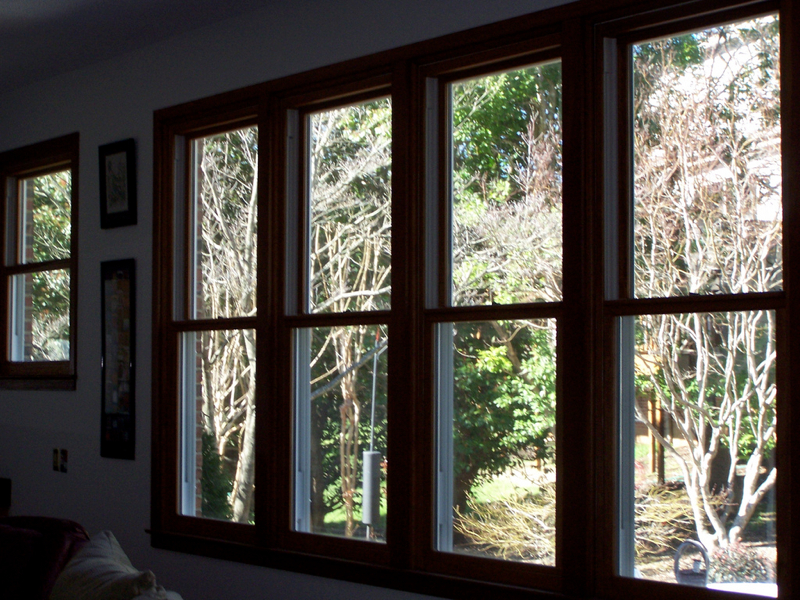 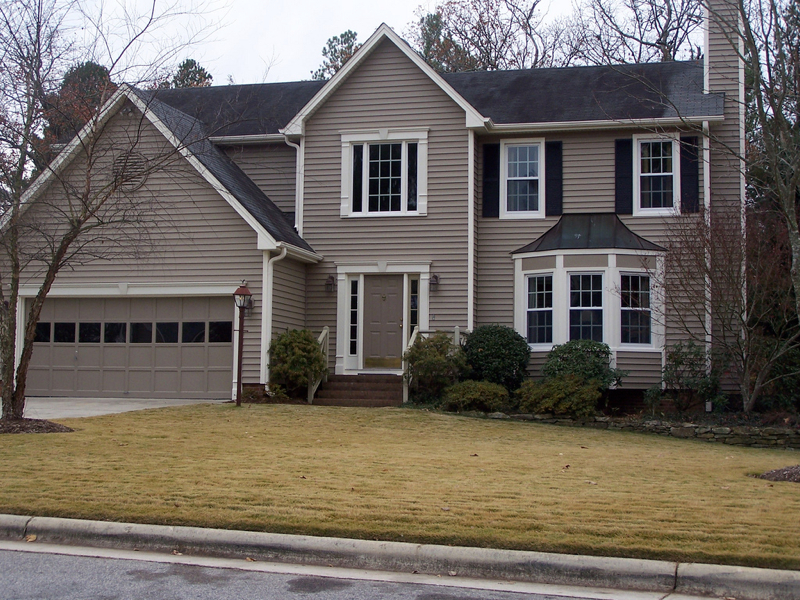 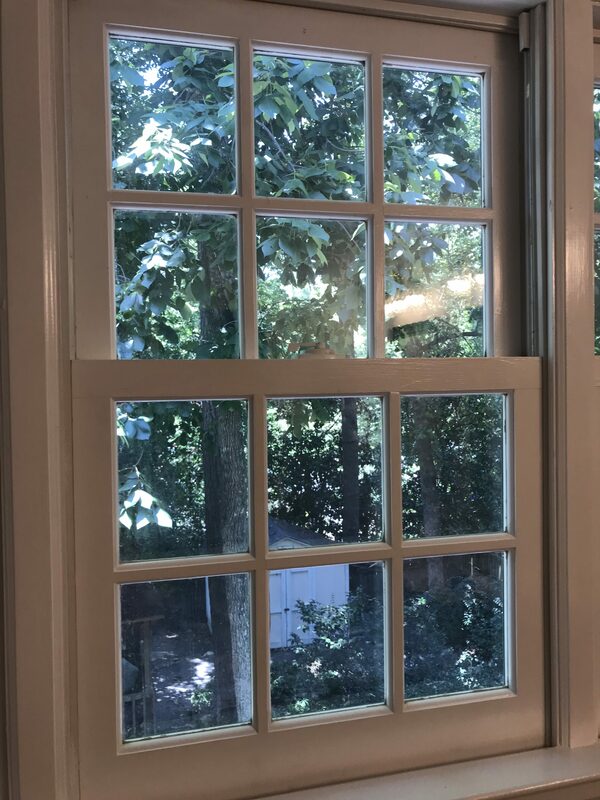 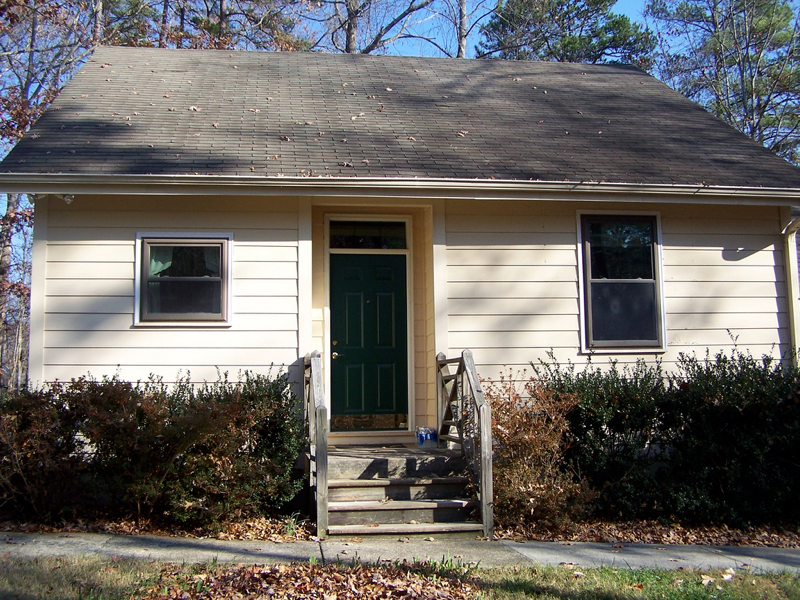 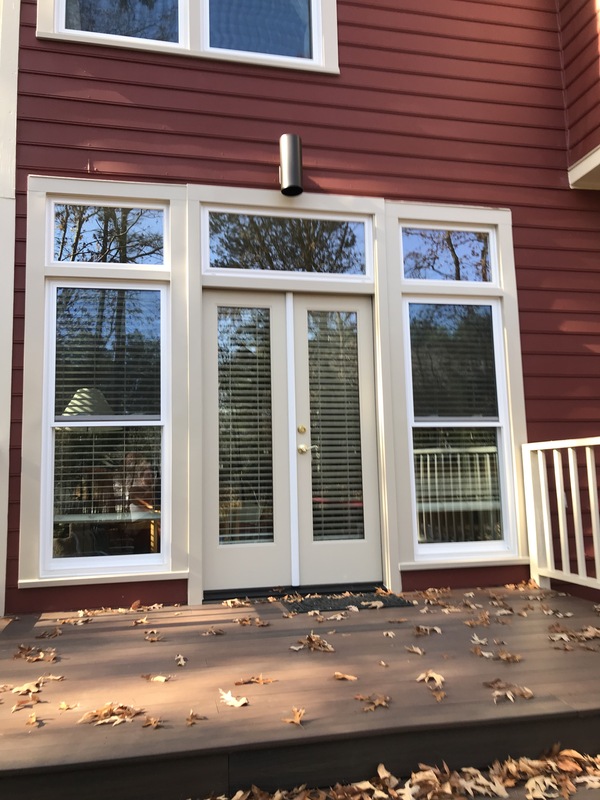 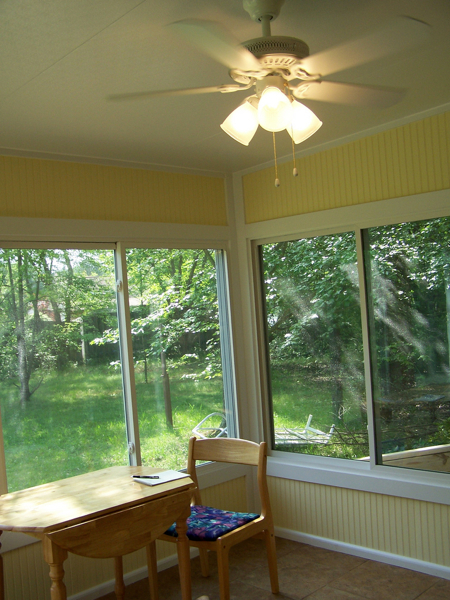 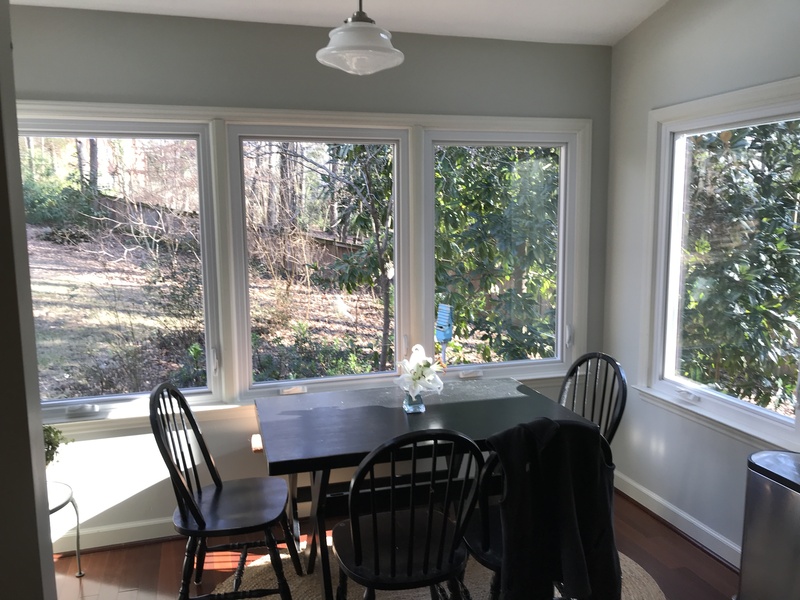 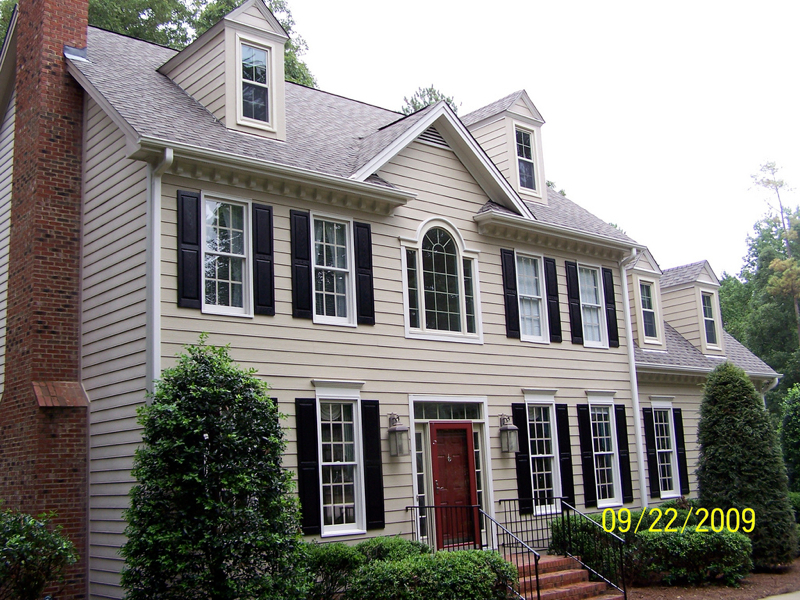 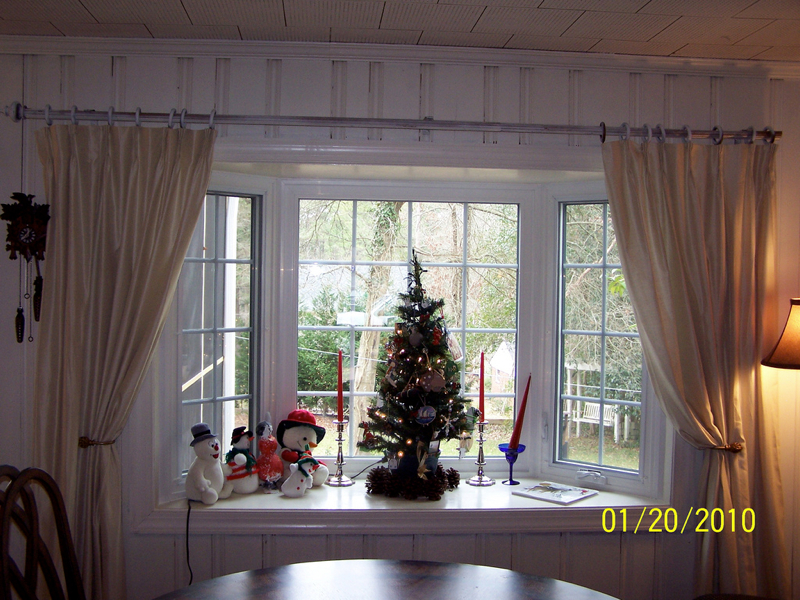 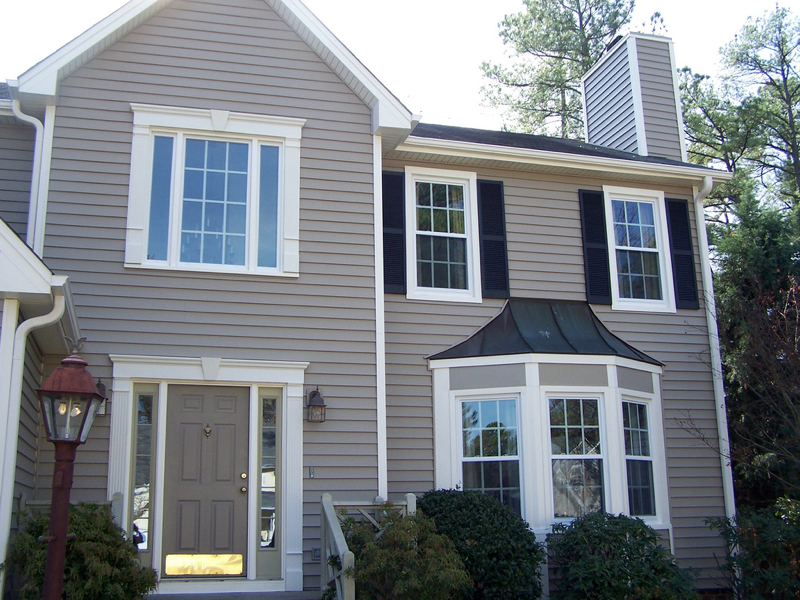 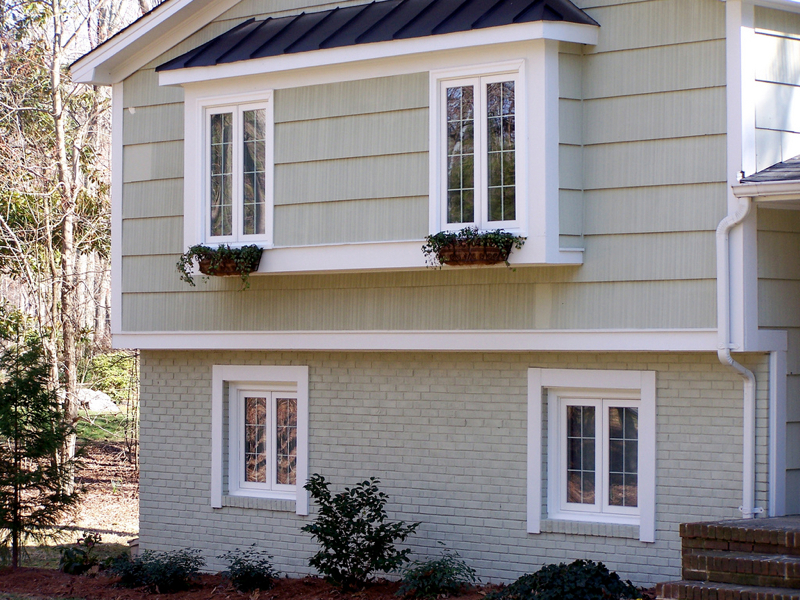 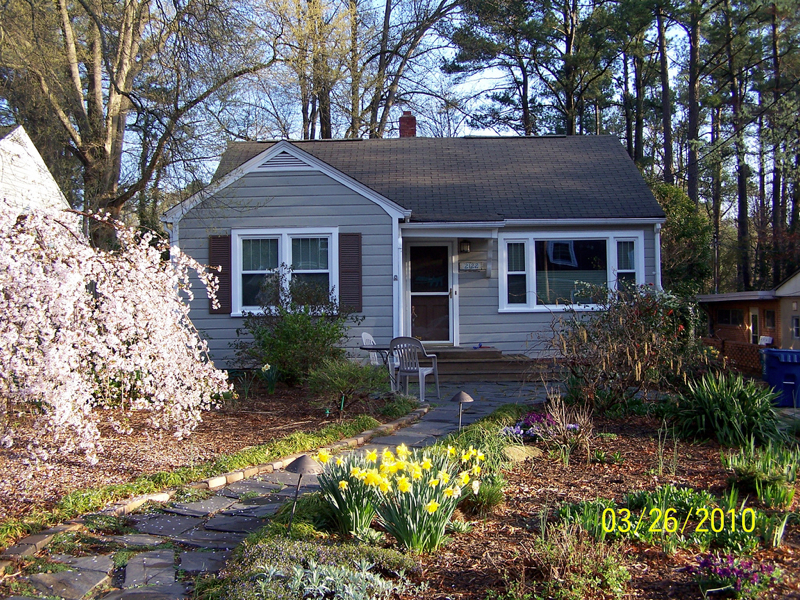 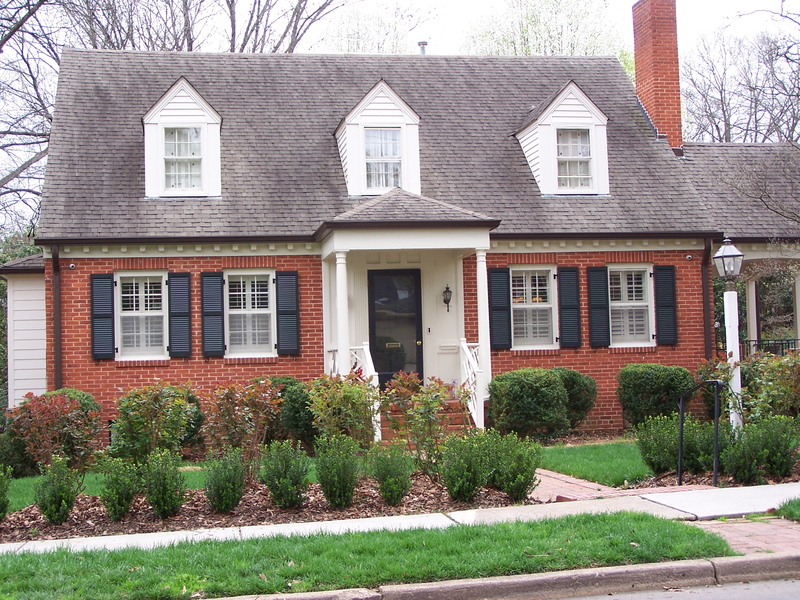 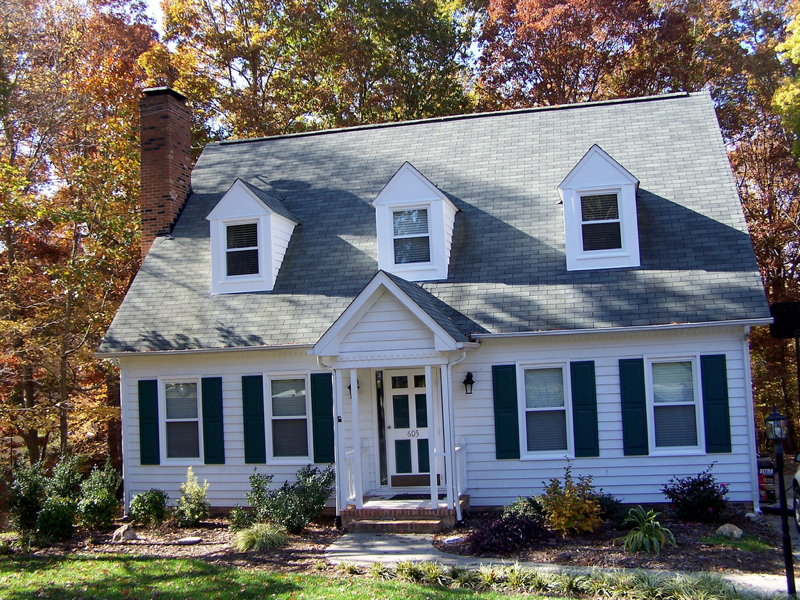 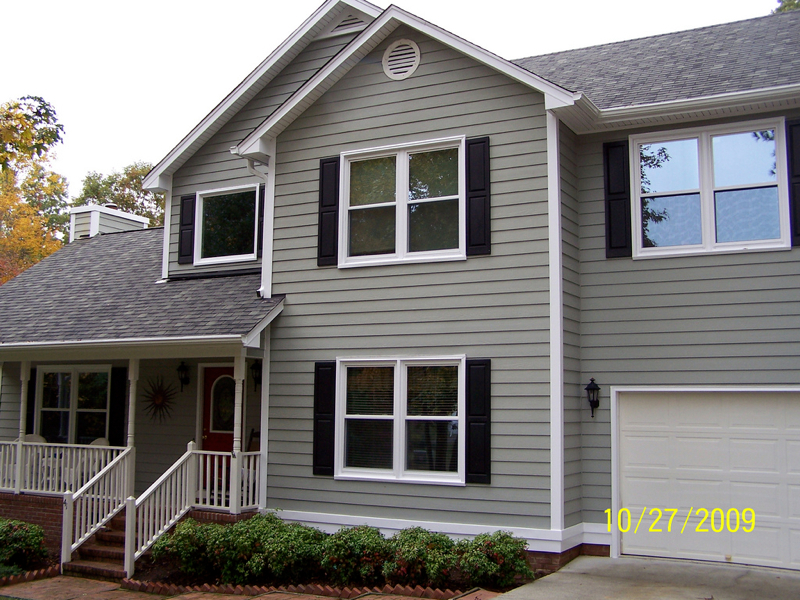 A Durham, NC home gets new white casement windows.